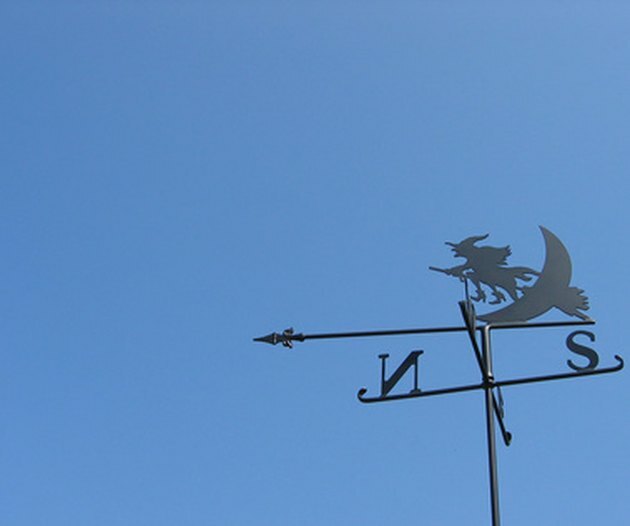 A still weather vane usually means hot weather and no breeze. Drill through the middle of the metal pipe using the 1/2-inch drill bit. Drill slowly so that you don't collapse the center of the pipe, and make sure you go all the way through both sides.